TV antennas have made a comeback and are fueled by consumers looking to save money. 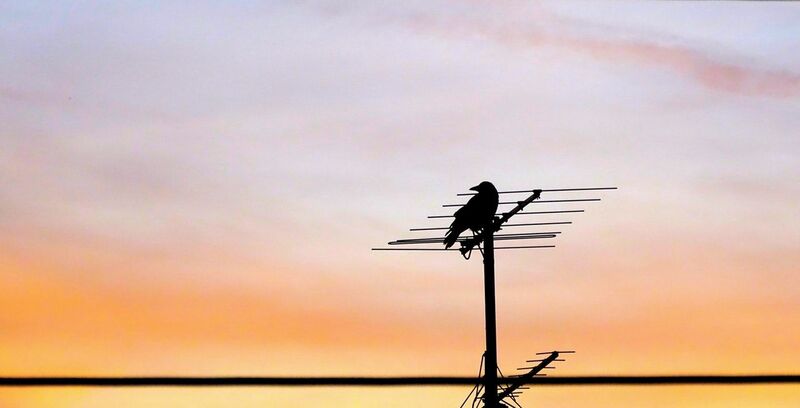 Is An TV Antenna Right for You? Most young people think that TV antennas belong to the past. I’m part of this crowd. Cable TV, digital TV or satellite platforms are popular these days, but there is still a lot of space to use an outdoor TV antenna. Did you know most of the broadcasting stations continue to send out TV signals for anyone, and for FREE? Saving money for the pay-TV-services is one of the biggest reasons why many people prefer to use an antenna. Become a cord-cutters and join hundreds of thousands of people in the U.S. each year who do the same. If you have already done it or are considering doing so, take a look at these best HDTV outdoor antennas we found for you and make the transition with ease. ClearStream 4 is high rating HDTV antenna most people looking these days. It provides the best performance among all antennas rated in the 70-mile range category. ClearStream 4V is a top device that supports Ultra HD and is overall one of the best solution for both indoor and outdoor installment. ClearStream 4 receives HDTV and over-the-air digital reception completely for free. This long-range outdoor TV antenna is perfect for rural places and thanks to the patented construction it can successfully pick up 98% of the signal. It has a very compact design, durability, and great performance. ClearStream 4 is also very easy to assemble. Capable of receiving broadcasts even in wooded areas, the Channel Master CM-4228HD comes fully assembled and picks up UHF, VHF, and FM signals. Its durable construction helps to prevent loss of signal in extreme weather conditions. Channel Master CM-4228HD TV antenna can easily receive digital and analog over-the-air TV signals in the UHF band and high VHF band. Fully optimized for deep-fringe reception of HDTV – CM-4228HD is one of the highest-gain antennas available. Using an antenna you can receive local over-the-air (OTA) TV broadcasts that are looking sometimes better than cable or satellite TV. And the best of the OTA broadcasting? No subscription – they are free! Before you cut the cord, you have to decide which kind of antenna you need. Indoor or outdoor antenna, with amplified and nonamplified options. What you choose depends on the place you live, the proximity of local transmitting tower and the place you want to set up your TV antenna. If you live within a few miles of the TV transmitters, a small indoor antenna is just good for you. If not you will need an outdoor TV antenna. 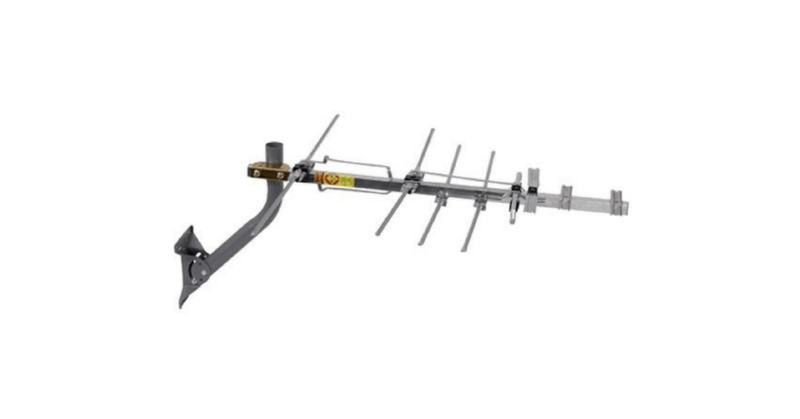 One quick tip before we present you the best outdoor TV antennas in 2019, the higher you place your antenna, the better. Placing the antenna higher as possible gives you clearest over-the-air connection with a tower. If you chose an outdoor antenna because you live far away from a tower or just looking to maximize your signal strength, we found 10 best outdoor HDTV antennas in 2019 for you. They are perfect for picking up over-the-air 1080p HDTV signals as well as UHF, VHF, and FM broadcasts. We have rated them here by signal strength, value, and ease of installation. The 1byone TV antenna is able to receive signals within an 85-miles range from the broadcast transmitter. Enjoy an experience of HDTV in high picture quality and best sound available. It captures over-the-air broadcasts transmitted with uncompressed full HD (1080p), Ultra HD (4k), and 3D channels. 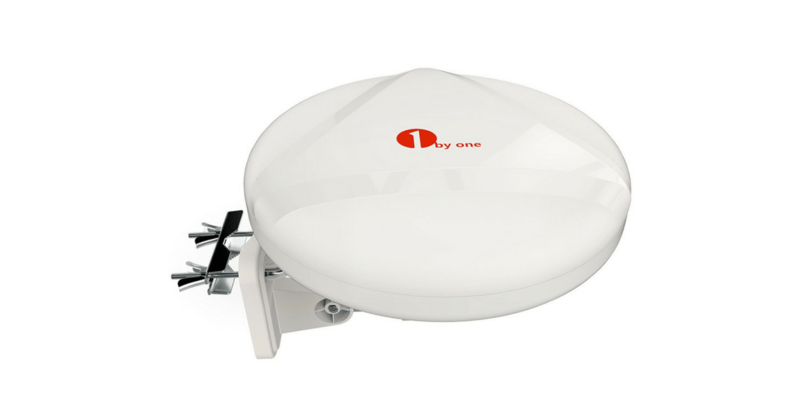 1byone antenna comes with a full package of mounting accessories and has a very simple installation. Connect the antenna to your TV with a coaxial cable, run channel scan, and pick up one of VHF and UHF HD signals based on your location and conditions. Cancel cable and install this antenna and Netflix instead. 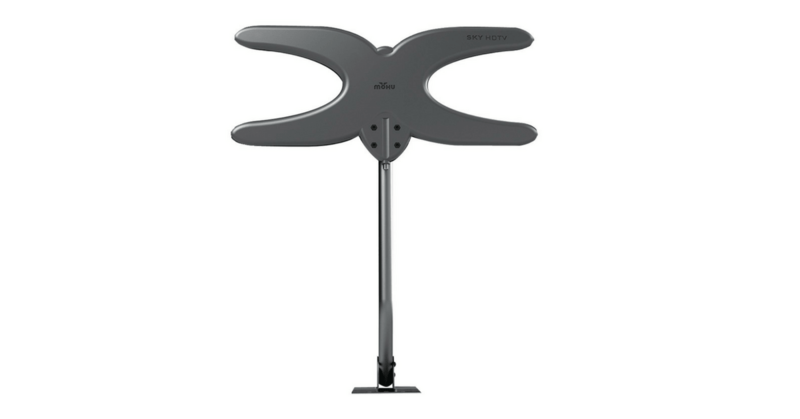 RCA Compact Outdoor Yagi HDTV Antenna is one of the best cheap outdoor HDTV antennas on the market. Setup is straightforward and instructions are easy to understand. 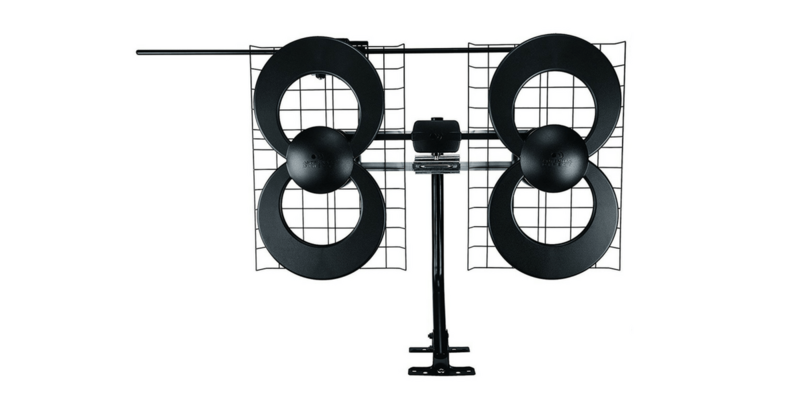 The Yagi HDTV Antenna comes with a pre-assembled design and has an easy fold-out reflector. After the correct installation, you are able to receive 1080p HDTV broadcasts. You can mount it both outdoors or indoors, but for the better reception, we recommend using it outside. 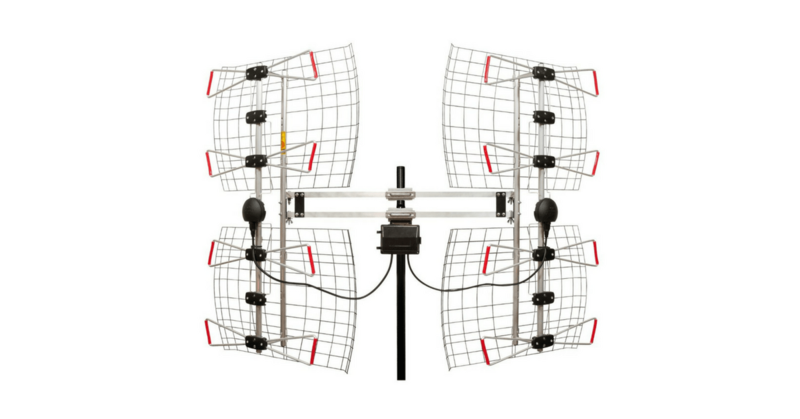 Yagi Outdoor HDTV antenna can intercept both VHF and UHF signals in high-quality, and gives you a clear picture even in awful weather. Of course, the quality of your signal reception and the number of channels depends upon the distance from the transmitter towers, but with RC Yagi long range outdoor TV antenna you can capture broadcast signals within a 70-mile range. Do you want to ditch the cable and wish to pick up more than just a few local channels? Channel Master CM-2016 is another cheap outdoor HDTV antenna with an uncomplicated setup you may consider to use. It is really easy to put together and mount. Instructions could not have been better. The quality and sturdiness of this antenna will surprise you. CM-2016 is a truly quality product for a great price, it is made from lightweight aluminum, the rivets hold things together nice and tight, and it uses a sturdily reinforced steel mounting clamp. However, if you are looking for a lightweight, low wind resistance TV antenna with a good medium VHF range and long UHF range, Channel Master CM-2016 may be ideal for you. This device is able to pick up crystal clear and full HD signal at 60 miles from the transmitter tower. Do you need to receive a signal from long range? Xtreme Signal Long Range Yagi Style antenna can pick up UHF broadcasts from the 70-mile radius transmitter tower and VHF with a range up to 20+ miles with ease. This simply means you have access to most of your local HD channels for free. The antenna is weatherproof, easy to install and adjustable up to 60 degrees. With the Xtreme Signal, you get a quality HDTV antenna that provides clear and strong reception due to the back reflector which actively reduces interference. Overall, a good choice for your new antenna. If you are thinking of cutting cable, Channel Master CM-4228HD will be your favorite device. This antenna picks up signals strong and steady from 80 miles with the 8-bay reflector. CM-4228HD gives you the best reception possible. Performance is great, a picture is crystal clear, and the price is excellent. Like any outdoor long range HDTV antenna, also this should be mounted outside (not attic) to get most of the signal. Mounting this antenna inside attic can lead to loss of 50% of the signal. Another 1byone product on our list. This omnidirectional TV antenna is lightweight, thin, flexible and very attractive. Whats more, it works. The antenna is able to capture uncompressed signals from long range and gave you a clear, wonderful picture quality. The 1byone has everything you ever need for easy installation and the instruction are more than adequate. All you need to do is just plug it in, run a channel scan on the TV and get all the channels you want. The FlatWave AIR FL6550A is a sleek, compact antenna with an integrated amplifier that produces a higher quality TV image without dropouts or pixelation. It can be placed in an attic, a roof, a deck or the side of a home and is easy to install. The Winegard FlatWave Air FL6550A antenna can be also paired with streaming devices such as Fire TV, Chromecast or Roku for maximum programming experience. It´s time to cut the cord and save a significant amount of money. Watch local news, live sports, all the popular shows for free, and in HD with a Winegard FlatWare Air TV antenna. 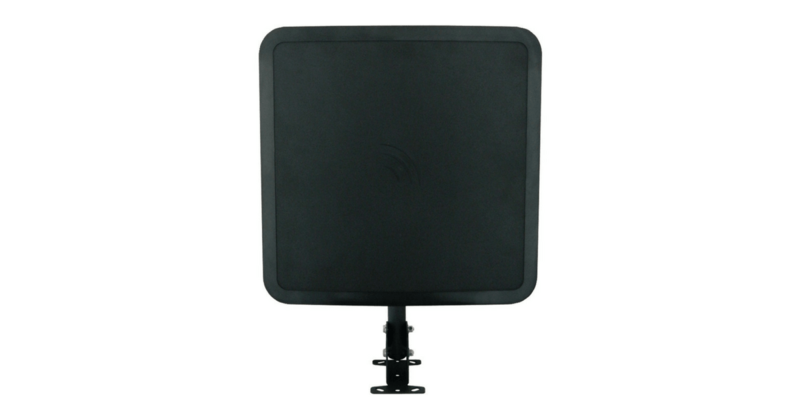 8 Element Bowtie is the best tv antenna for rural areas on our list. Why? The specially designed brackets allow the 2 panels to target transmitter towers in multiple directions and pick up best uncompressed full HD signal possible. The signals can be captured from up to 70-mile range. Place it in the attic or outdoors, connect one end of a coaxial cable to the antenna and other to TV, run a scan and enjoy your favorite full HD 1080 show where available. 8 Element Bowtie HDTV antenna is perfect for rural areas where roofing materials or heavy foliage reduce the incoming signal. The ClearStream 4 antenna uses patented technology to receive high VHF and core UHF channels from long range. Its efficient design allows it to have better reception up to 70 miles in a size that is capable of being used indoors or outdoors effectively. The ClearStream 4 antenna is designed to respond to a greater range of frequencies and have better protection against multipath interference. Ideal TV antenna for suburban and rural areas with heavy foliage and roofing materials. 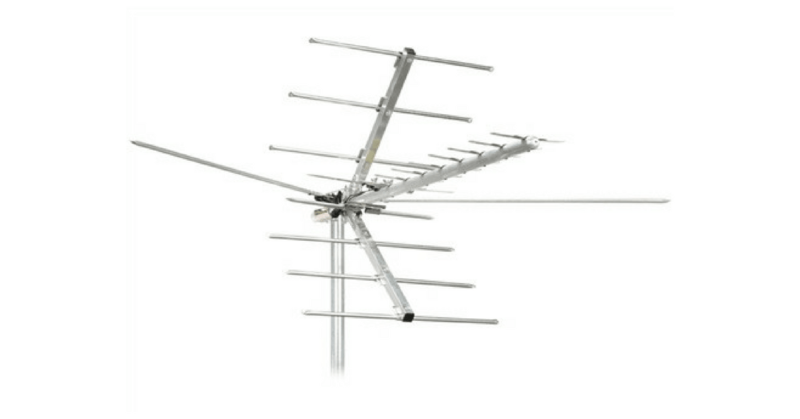 In short, ClearStream 4 is the best outdoor TV antenna on our list. The Mohu Sky is a multi-directional HDTV antenna that is able to capture HDTV signals from all directions in 60 miles range. The antenna is powered by an integrated 15dB amplifier and provides one of the best performance in its class with an outstanding design. Being lightning and weather resistant, the Mohu Sky 60 can withstand hard outdoor conditions and still deliver digital TV channels in full HD (1080) on both UHD and VHF spectrums. 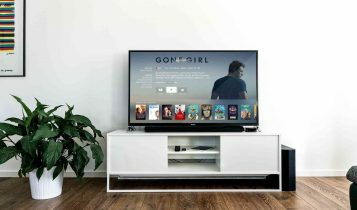 If you are looking for a quality and great performance at an affordable price this TV antenna with unique aesthetics should be on your wish list. Price: First and perhaps the main reason, a TV antenna helps you save money for numerous service agreements you have with satellite providers and cable. 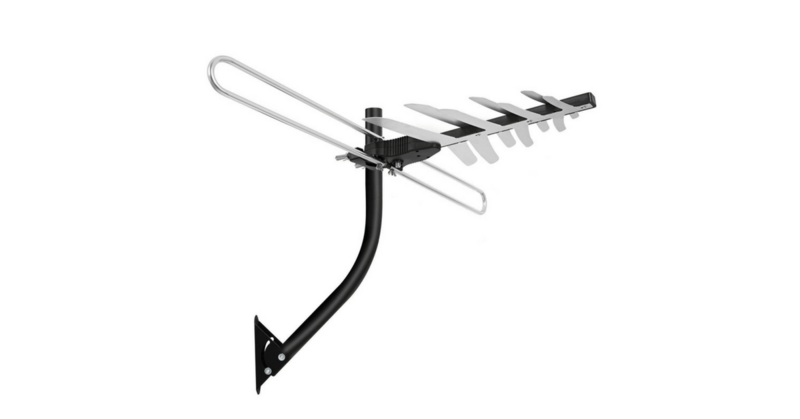 If you combine the HDTV antenna with third-party streaming services, you will probably get all the channels you want. It´s simple math. A high-quality HDTV antenna costs around $150, but by cutting the cord you might save hundreds of dollars a year. A strong argument, what do you think? Picture Quality: The second reason why to get an antenna is the picture quality. Antennas can sometimes deliver better picture quality than satellite or cable. The over-the-air broadcasts are delivered in 1080p resolution while cable and satellite companies often compress their broadcasts to save on bandwidth and deliver them to you in lower HD quality. 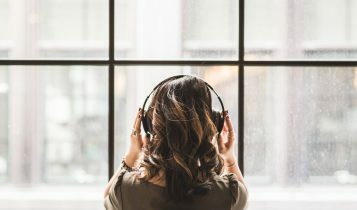 Free Popular Programs: Did you know that almost every popular TV show, sitcoms, and other major events, are all available over-the-air for free? According to a survey, 90 of to 100 TV programs are broadcast for free. There are two important questions about TV antennas you should ask yourself. The reception quality you have and the installation process you should undergo. 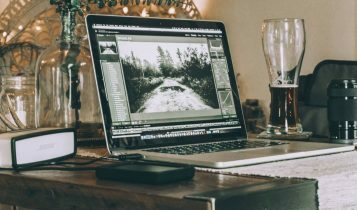 Signals you capture may be less compressed, so the quality of the picture might be better then what cable provides. But you must have good reception. The quality of your reception depends on several things – distance from a broadcast tower, obstructions such as mountains or trees. 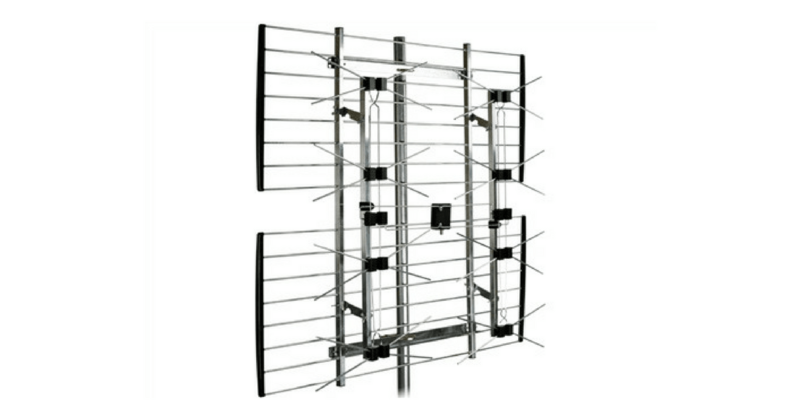 To learn what type of HDTV antenna is ideal for your location, visit the TV Fool antenna selector or AntennaWeb.org. These websites work on the same and simple principle. Just enter your address, and you will see a list of local stations and instructions about which type of HD antenna to use for good reception. Higher is better. Yes, for a better signal reception you should have an antenna on your roof, but in many situations, indoor antennas also work well. The installation of both antenna´s types is easy and all you need to do is follow the instruction you get with the products. A very important factor you should consider when you buy a TV antenna for your home is the quality of reception in your area. The main aspect of good signal reception is the distance and direction from the TV station transmitter. If you living few miles from the transmitter, and the signal is unobstructed (trees, mountains), you may be able to get a good reception using an indoor antenna. Otherwise, getting a stronger signal may be problematic. This is where careful HD antenna selection is so important. Keep in mind that signal reception conditions can vary from house to house. HDTV antennas: HDTV antennas are classified by their range. A 30-mile antenna will receive signals from 30 miles away, a 50-mile antenna from 50 miles. Additionally, amplified antennas can help by boosting a weak TV signal. Unless you are living in rural areas, you can often get away with a long-range indoor antenna. VHF and UHF: Digital TV signals are usually delivered with two different frequency ranges: VHF (Very High Frequency) and UHF (Ultra High Frequency). So, what is the difference between VHF and UHF antennas? The size. Antennas are designed on the size of the waves they will receive. VHF frequencies are lower, that means the waves are longer, requiring a larger antenna surface to receive them. Directional vs. multi-directional TV antennas: The basics are simple to understand. Directional antennas are designed to receive signals from one direction, multi-directional oromnidirectionall antennas can receive TV signals from multiple directions. Directional HD antennas are better if you need to receive signals from greater distances, and what is more important, they are resistant to noise and distortions (reflections of the desired signal). Multi-directional antennas are more likely to pick up noise, interference, and distortions. 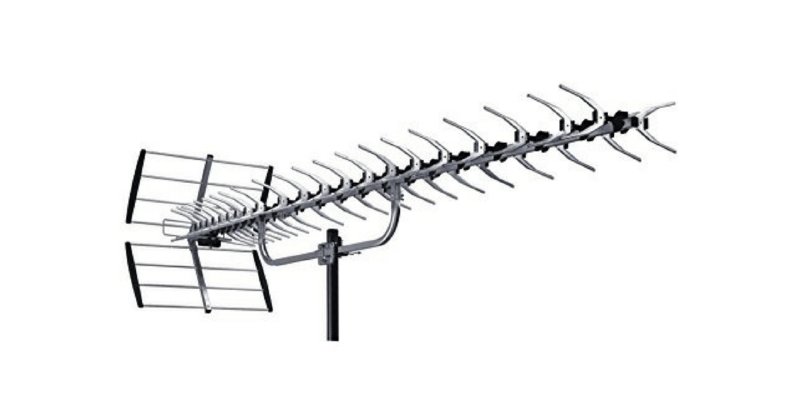 Indoor vs. outdoor TV antennas: Indoor antennas are lightweight, small, and simple to install. Place it high on a wall or close to a window for the best possible reception. Outdoor antennas are larger and are intended for a roof- or attic mounting. Amplifiers: A clever way to improve signal reception is by amplifying the signal. The amplifier can be built in, or it can be a separate device – RF distribution amplifier. An amplifier on an outdoor HD antenna often called a preamplifier or preamp. Most TV antenna owners recommend only using an amplifier if you need to.